I’m sure you’re all in full swing decorating, baking and shopping mode just like I have been. 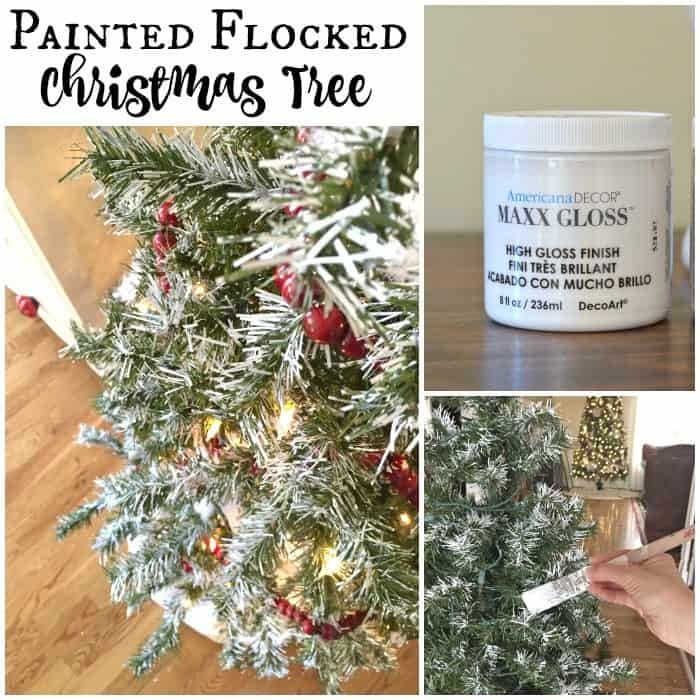 I have a great DIY painted flocked Christmas tree project to share for those that loves a challenge at the last minute. 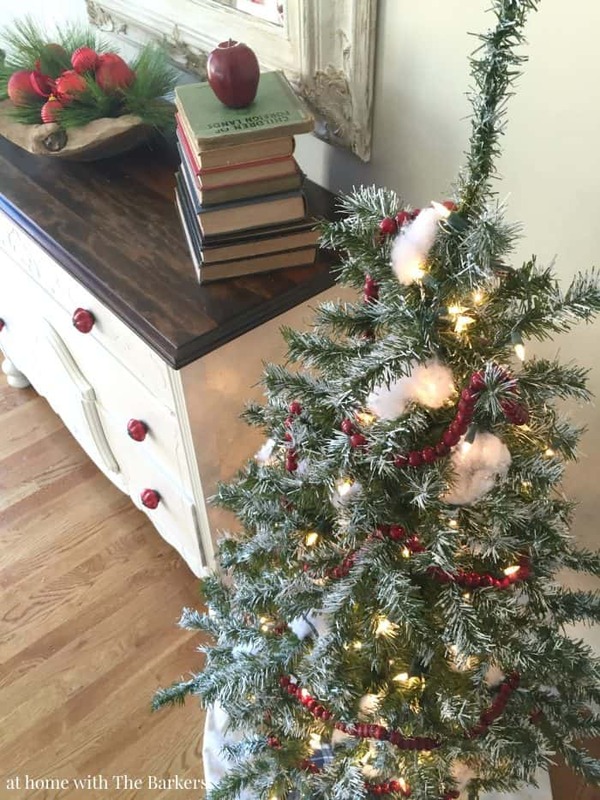 Flocked trees are all the rage and they really are so beautiful. I’ve never committed to getting a big one for my family room but I thought maybe a smaller one would be great. I decided to pull an extra 4 foot artificial tree out of the attic to use in the foyer but it just looked sad. I knew it needed something but ornaments weren’t the look I was going for in this space. I remembered that I had an extra jar of Maxx Gloss in white china paint from my Brushstroke lamp project and I knew it would come in handy some time or another. I’ll try paint on pretty much anything. 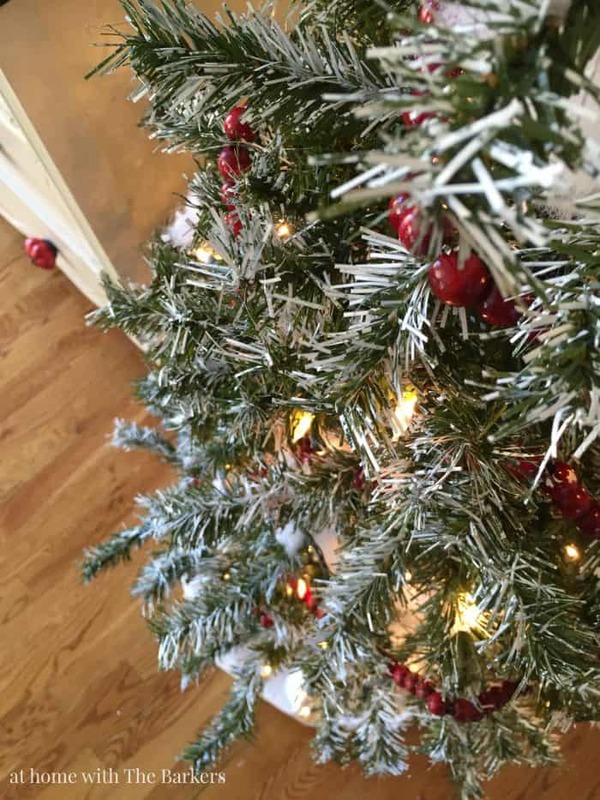 The tree already had lights on and I didn’t bother removing them…lazy, I know. 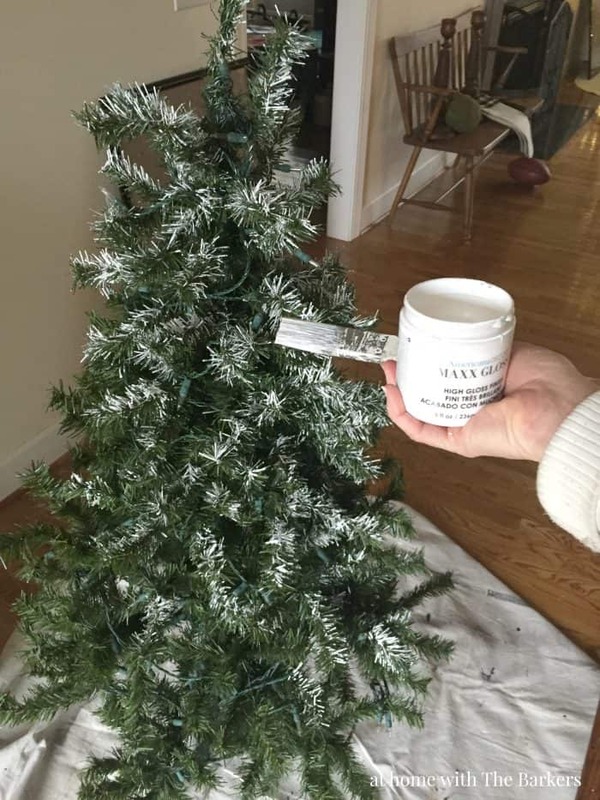 This painted flocked Christmas tree is pretty easy to do but my biggest advice, dab the paint on. If you try to paint with strokes the paint will splatter. I may or may not know this from experience, LOL. Be sure you also use a drop cloth because there will be some little drips. 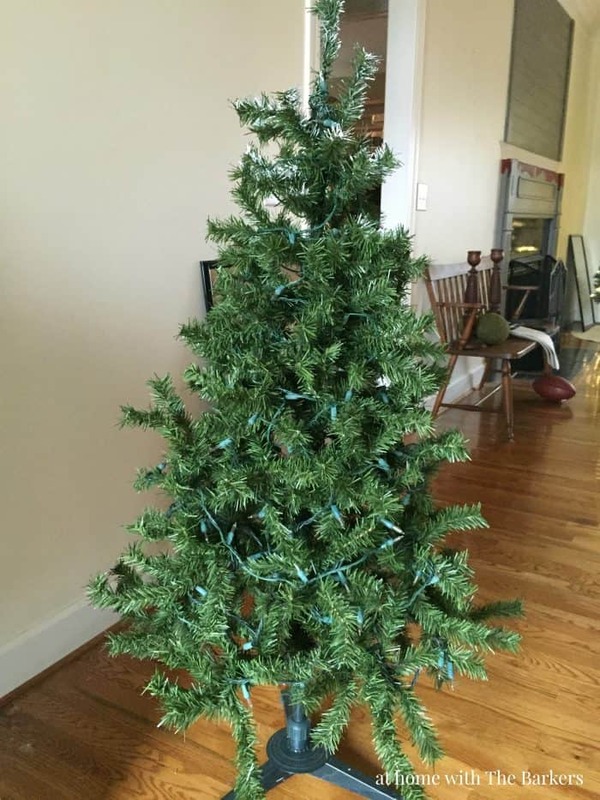 How much you flock the tree is completely up to you. I didn’t go over board but I can always add more if I wanted it to look thicker. I think it turned out really great. I only added some red wooden bead garland and a little cotton snow. This year I will be joining an amazing group of bloggers for a Christmas tour of our homes at night. I can’t wait to share that with you. It will be the week of Christmas so you can just relax and enjoy looking around. I’m pretty much finished with my decor but now we must finish the mantel (did you see my Instagram sneak peek?) so I can take night time photos of the living room. 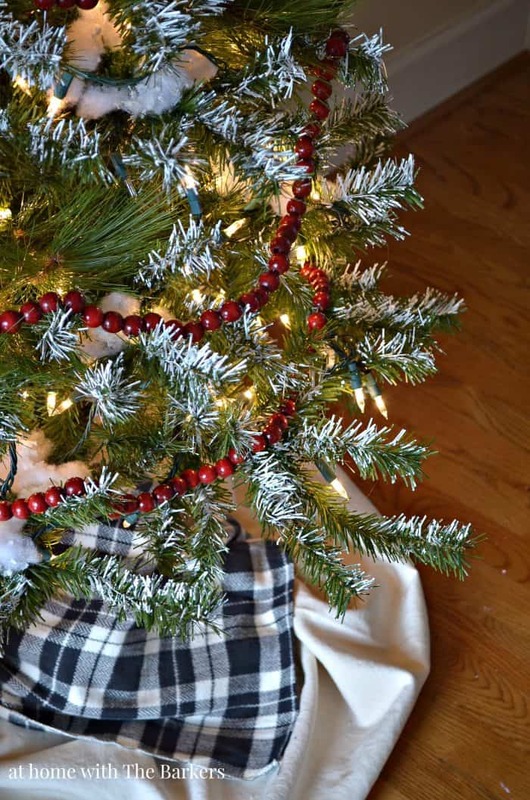 I hope your holiday season is off to a great start and you are taking time to enjoy each day. I so love this tree, what a great idea to spruce up an old tree. Can’t wait to see the tour. Merry Christmas!! This is such a great idea, thank you for sharing. 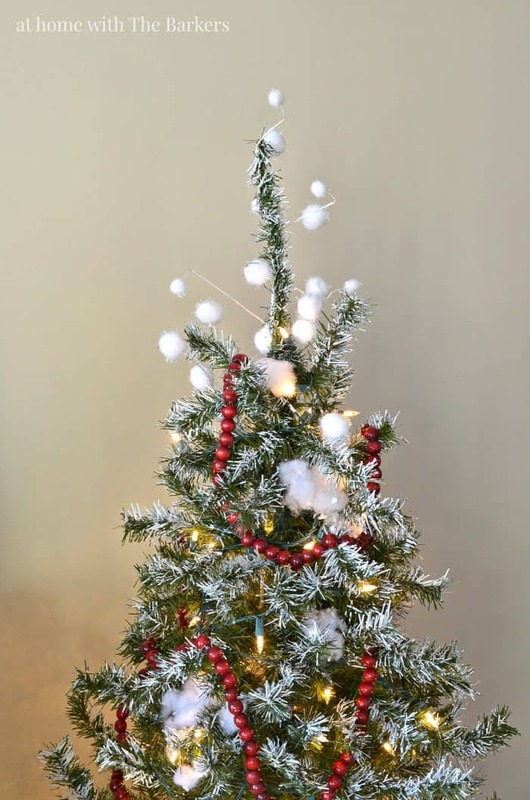 I never knew I could make my own flocked tree?! 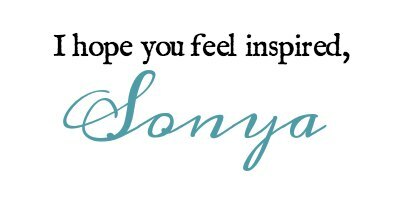 Must try, Thank you for sharing your holiday Craft Sonya in the 12 days of Christmas Blogger Tour Link Party! Merry Christmas to you and your family! It turned out great! Thanks so much for sharing this. 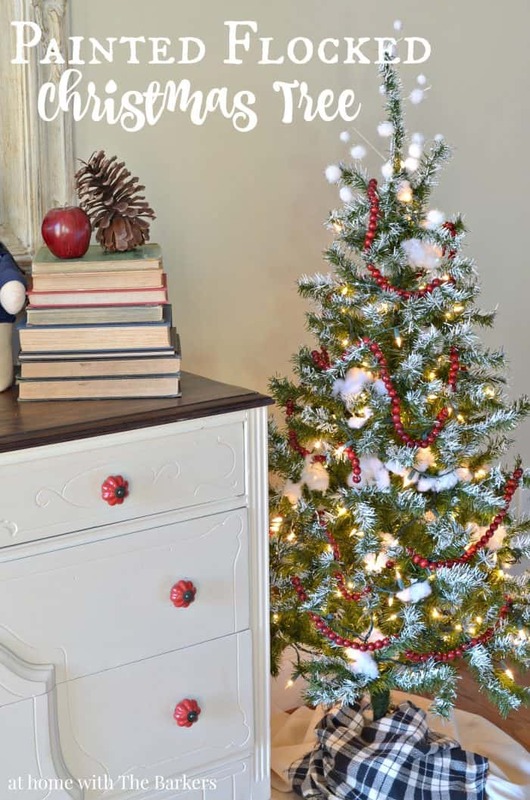 I’m going to try it on our large tree I found at Goodwill for only $12. 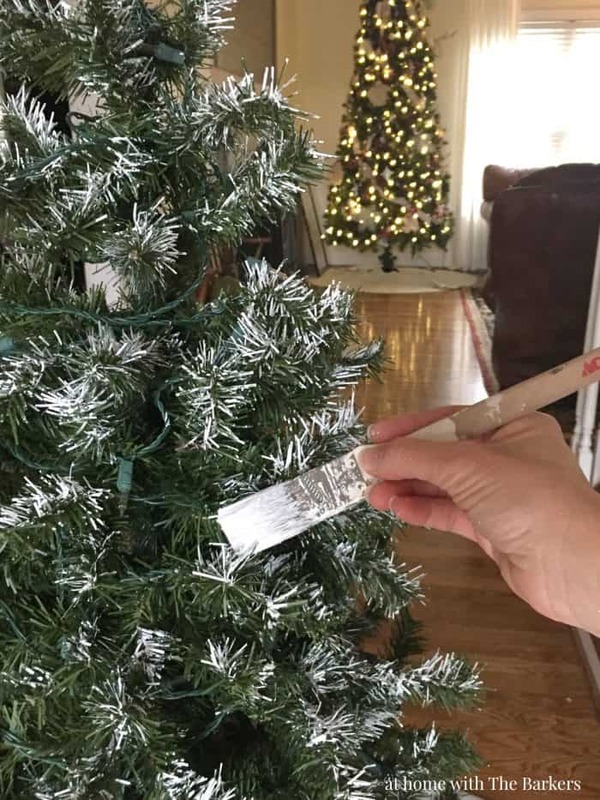 What did you use for the fake snow?